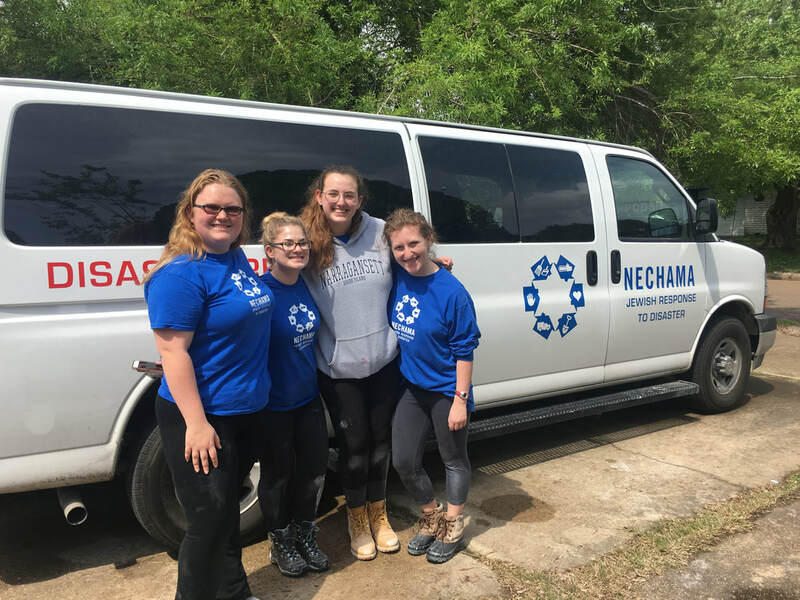 URI Hillel students went on an ALTERNATIVE SPRING BREAK to Houston March 11-18, 2018 to help repair homes after the historic floods caused by Hurricane Harvey. Read about their experiences on the Hillel Blog. Students interested in planning or participating on an Alternative Spring Break trip in March 2019 should contact Amy.